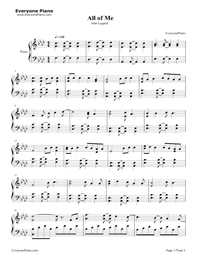 Free All of Me piano sheet music is provided for you. So if you like it, just download it here. Enjoy It! All of Me is performed by American contemporary R&B recording artist John Legend from his fourth studio album Love in the Future (2013). 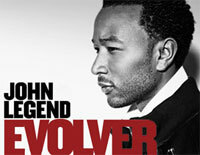 The song was produced by Dave Tozer and John Legend and written by Toby Gad and Legend. The song is a dedication to Legend's wife Chrissy Teigen. All of Me impacted American mainstream urban radio as the album's third single on August 12, 2013. It has peaked at number 11 on the United States Billboard Hot 100 chart (his highest charting single there), and charted at number one in Australia, Belgium and the Netherlands. 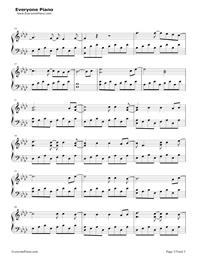 Below is all of me full version and piano + voice sheet music. Hi! Any possibilité to download on Mac...? EOP doesn&apos;t seem to be supported by IOS....? Can you help? I am sorry, EOP is for windows system only, we will do Mac version in the future. how can i get it to play the song on google? from the listen now button on this page. online audio only IE browser is supported, but we will change it to support all ways later. Right now, you can use the IE browser to play the song on line, or you can download the EOP file and play with EOP. 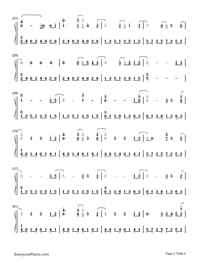 And for the sheet music, you can click on one page, and use the right mouse button to save one by one to you laptop. 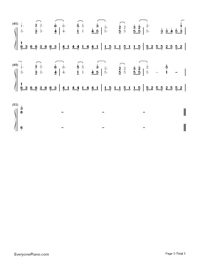 how do i get the sheet music with the words??? I am trying to find the music for this song. (All of me) with no words. I had gotten the sheet music but at the last minuet the person who was going to play the song had to go out of town. I am singing this song during my wedding but now I have no one to play the music. Can I get just the music with no words from anywhere? Any suggestion would be greatly appreciated. I have tried everything I can think of and I'm running out of time. Please give your email address, I will send the MP3 to you. Wish can help you. Or you can download the EOP file and play it on your computer. Why not record yourself playing and sing along to it? 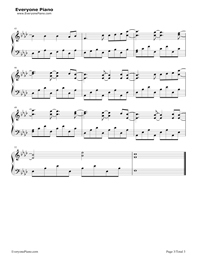 is it possible to download the sheet music as one file such as PDF etc? i can only seem to be able to save each page as an image individually. Sorry not now. Bur it the future, we will add this feature. You should download EveryonPiano software to open the EOP by clicking http://www.everyonepiano.com/Software.html . Do you play the whole thing twice or not...??? There are no lyrics. It is difficult to understand the music! I can´t download the eop file of jhon legend all of me, can you give me the link? please click on the "EOP Download" button above and you can download it. 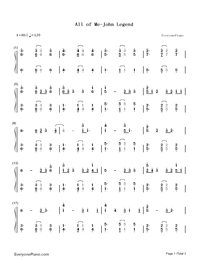 Can I get the sheet music in C? Or print it from the EOP software? 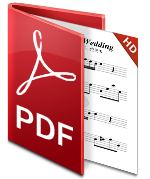 Please click on the small pictures of sheet music above and you will get the big ones, please save them on your PC. I want the eopmusic file for this song please! Please click on the button "EOP Download" above and then EOP file will be downloaded.